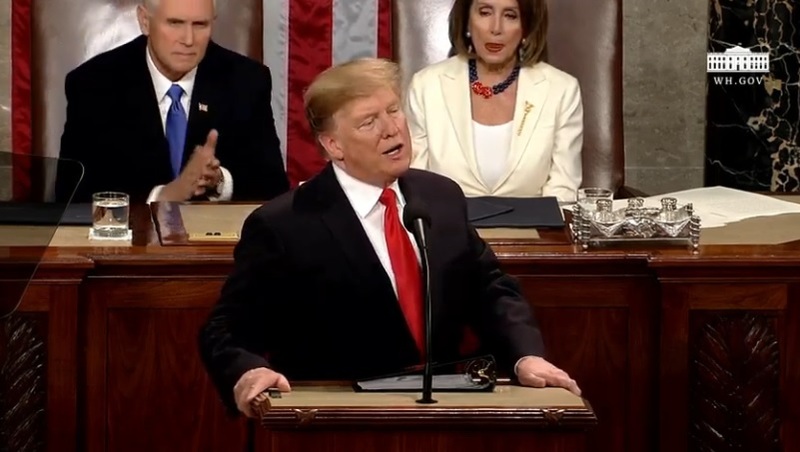 In his annual State of the Union address, President Donald Trump condemned abortion by calling for legislation to prohibit late-term abortions on pain-capable children. The speech came on the heels of New York and Virginia’s efforts to pass measures to expand abortion at a time in pregnancy when the child can survive outside the womb. It also comes just hours after a lone Democrat — pro-abortion Senator Patty Murray (D-Wash.) — derailed the Born-Alive Abortion Survivors Protection Act, a bill which would have made it illegal to withhold lifesaving medical care from an abortion survivor. There could be no greater contrast to the beautiful image of a mother holding her infant child than chilling displays our nation saw in recent days. Lawmakers in New York cheered with delight upon the passage of legislation that would allow a baby to be ripped from the mother’s womb moments before birth. These are living, feeling, beautiful babies who will never get the chance to share their love and their dreams with the world. And then, we had the case of the Governor of Virginia where he stated he would execute a baby after birth. Sitting behind the President were Vice President Mike Pence and Speaker of the House Nancy Pelosi. 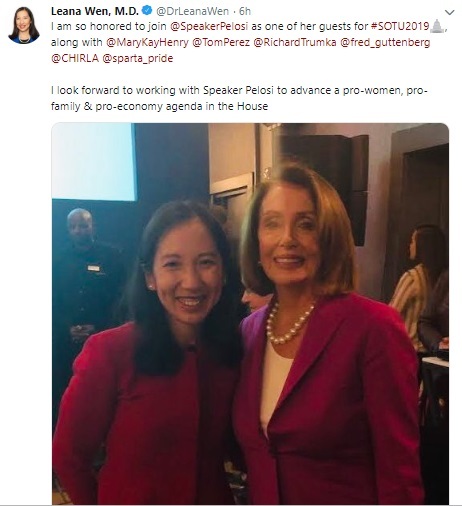 In stark contrast to President Trump’s pro-life remarks, Pelosi, a Democrat and recipient of Planned Parenthood’s Margaret Sanger Award, named after the organization’s eugenicist founder, invited Planned Parenthood president Dr. Leana Wen to SOTU as her guest. Planned Parenthood is the nation’s number one provider of abortions, taking the lives of more than 332,000 preborn human beings every single year. Planned Parenthood contributed two million dollars to the campaign of Virginia Governor Ralph Northam to expand abortion in that state. The organization receives more than half a billion taxpayer dollars every year and openly supports late-term abortion.